I won’t say too much about today’s artwork. 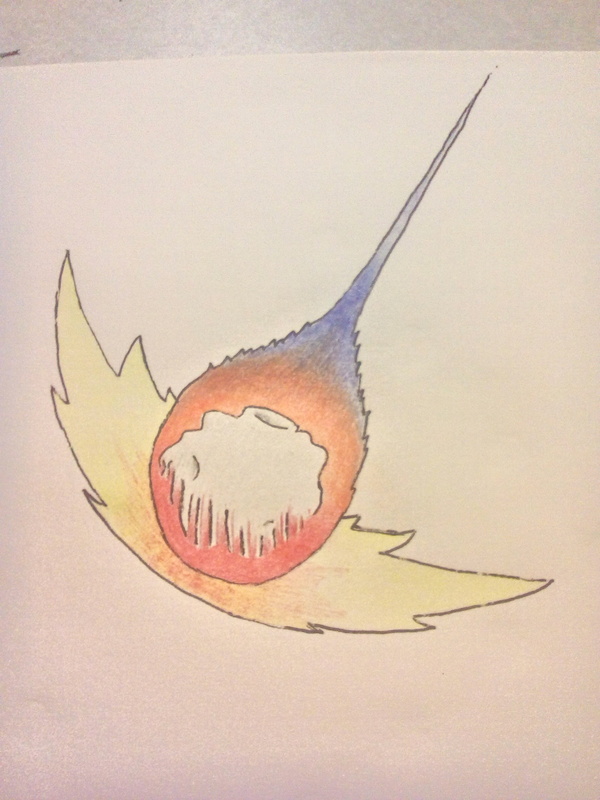 Thanks to my cousin Brad, who came up with the idea to draw a meteor or a comet. This thing turned out wonderfully. I wanted something with colors! Hopefully tomorrow I’ll get working on that critter I posted yesterday that I’d like to convert to digital. We’ll see though. A friend asked me to create some slides for her. So I might be working on that. She needs them to go along with an IGNITE “talk” that she’s giving in September. Haven’t got back to her yet about it, but I’ll be doing that shortly. Hope I can pull it off! Wish me luck.